Welcome to our TV Installation options page. On this page you will find links to different TV installation options with pictures and descriptions. New flat panel TVs slim depth allows to install them at locations where old tube CRT TV could not be installed. 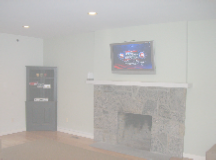 Flat panel TV can be installed on the wall and over the fireplace. If one would want to install CRT TV on the wall flush, there have to be serious modifications done to the wall itself. Back in the days, we used to break the wall, make a box inside the wall for CRT TV to fit, make a cutout for the screen, fix the wall back, install TV into the box inside the wall and call it a day. Biggest problem is that not all walls have 3’ to 4’ of space to build the box on the other side. Over the fireplace installation CRT TV installation is not possible as there is a chimney behind the wall. Flat panel TVs changed the trend. They are slim and can be surface mounted without any wall modifications. Finally, customers have options to have TV installed over fireplace. 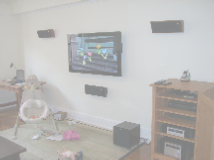 Not only flat panel TV can be installed over the fireplace. TV can be installed on full motion arm mount that allows customer to turn TV right and left. There are manual and motorized arm mounts. Flat panel TV can be installed into motorized cabinet where it’s completely concealed when not in use and can appear only when customer wants to watch it. 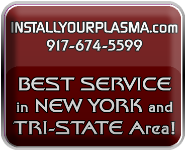 It is easier and cheaper to install flat panel TV in bathrooms and kitchens. There are weather proof flat panel TV models specifically designed for outdoor TV installations. There are many wall types and TV installation locations. 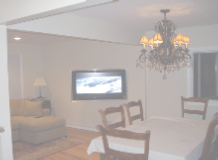 Flat panel TV can be installed on drywall, plaster wall, brick wall, cement wall, cinder block wall, wood paneling covered wall, mirror covered wall, tile covered wall. 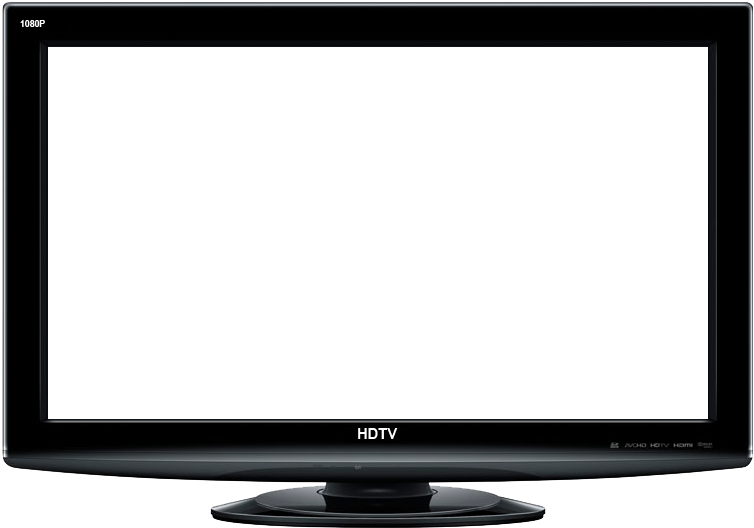 Browse our TV installation options to view some common TV installation examples. There are TV installation on stand, TV installation on wall, TV installation over fireplace, caddy corner TV installation, TV installation off the ceiling, TV installation into motorized cabinet, TV installation in bathroom, TV installation in kitchen, TV installation in wall unit, Projector and Home Theater installation, Metal stud wall TV installation, TV installation on brick wall. Check out new 3D TV Technology. If you have a question regarding your flat panel TV installation, contact us and we will be happy to give you a consultation over the phone or via e-mail.